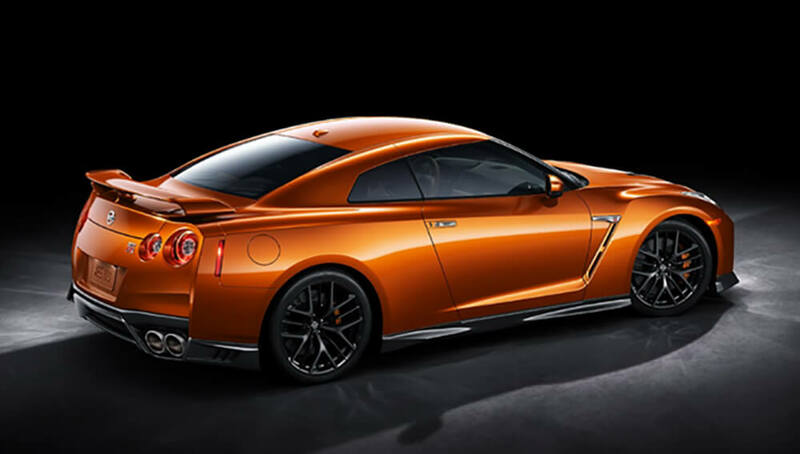 The 2017 Nissan GT-R is a fine-tuned supercar that sculpts the air to its needs, instead of being designed to the demands of aerodynamics. The GT-R's rear fascia has been extended at the side to help cool the exhaust by accelerating air away from the back of the bumper which helps to pull hot gases away. The redesigned side skirts help to prevent air flow from being pulled underneath the vehicle. While the area around the C-Pillar has been refined, helping to reduce turbulence and accelerate air flow towards the rear of the body. More cooling air is able to make its way to key components because of the larger grille openings. The reshaped front fascia helps to reduce drag by directing air around the front wheel wells. The headlights create extremely natural light while also offering increased illumination with the four featured LED units. The super-wide-beam headlights enhance visibility by expanding illumination towards the sides of the car-this especially helps when driving around corners. The truly iconic Nissan GT-R Taillights are synonymous with the classic sports car-if only for the fact that people are used to seeing them as they get left behind in the dust. The tradition of craftsmanship continues into the interior of this supercar with the stunning designs. The interior features air vents that have been studied, designed, and developed by a quality expert to operate flawlessly for years to come. Switches have been subtly etched on the outside to enhance the feel as they're rotated. The dashboards come from a single Nappa leather hide, hand-selected for tone, and free of even the smallest imperfection. 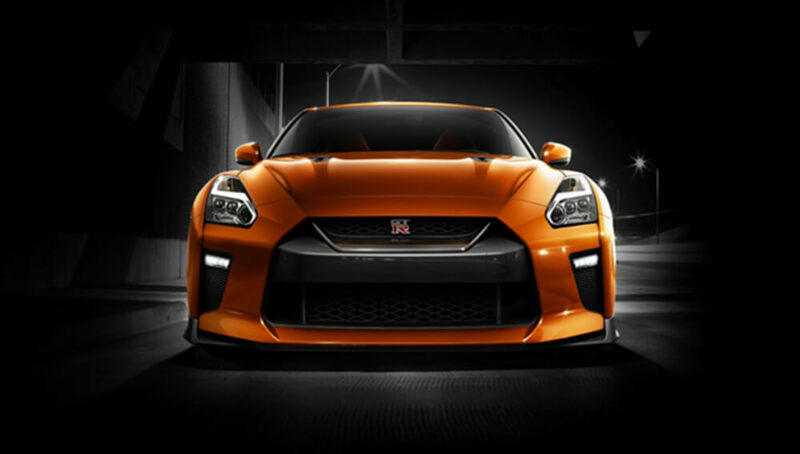 The Nissan GT-R is powered by a twin-turbocharged 3.8-L V6 that produces amazing 565 hp and equally remarkable 467 lb.-ft of torque; an ideally sized engine instead of a large and heavy, thirsty for fuel one. 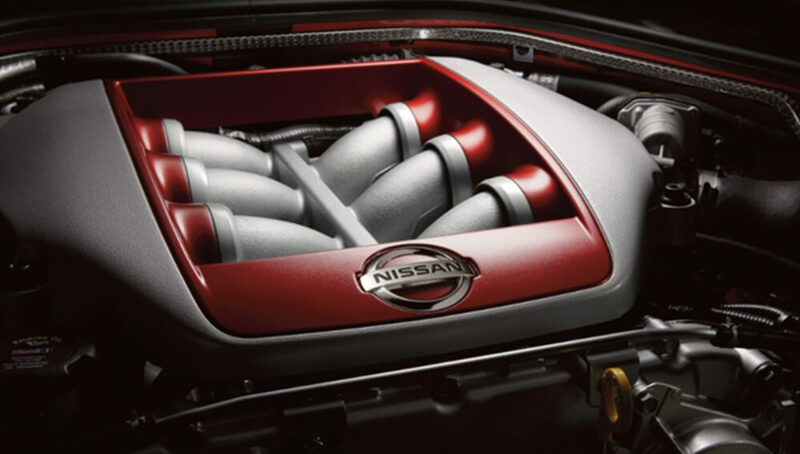 The craftsmanship of the GT-R continues through to the actual assembly of the engine, which is put together hand by hand by a master craftsman-you will even find their signature on a small plaque. The VR38 is a high-performance, yet fuel-efficient engine that is conscious of the environment. This engine is designed to truly meet the demands of a supercar for the 21st century. Mounted on each bank of the engine is an IHI turbocharger. The intake and exhaust gas flow is optimized by combining the exhaust manifold and turbocharger into a single unit. For more-efficient cooling, a larger intercooler has been installed. Also, high-precision electronic controls are used to ensure there is no turbo lag as torque rises. 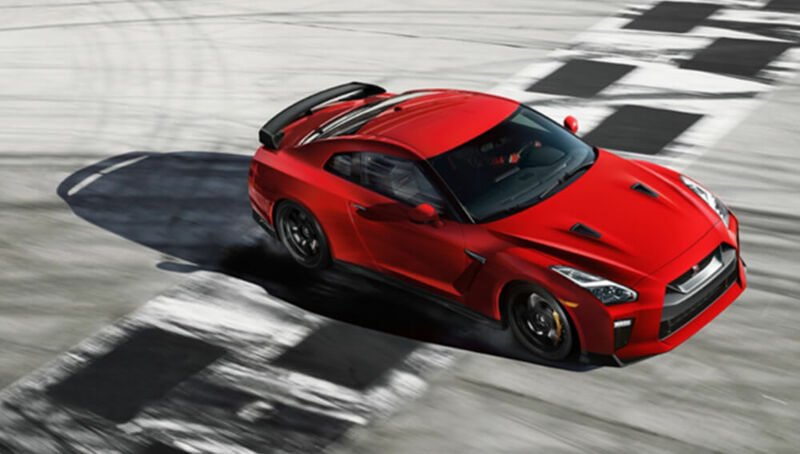 The 2017 Nissan GT-R has created the world's first independent rear transaxle for an All-Wheel Drive vehicle. The unique layout of Premium Midship Platform places the engine feather back in the chassis for better handling and mounts the transmission with the transfer case in the rear of the GT-R. In the technological front, the 2017 Nissan GT-R features multiple, easily accessed screens that provide the driver with immediate feedback on key performance factors. The quick readability combined with the flexibility of multiple displays provides an innovative experience that like no other for the driver. 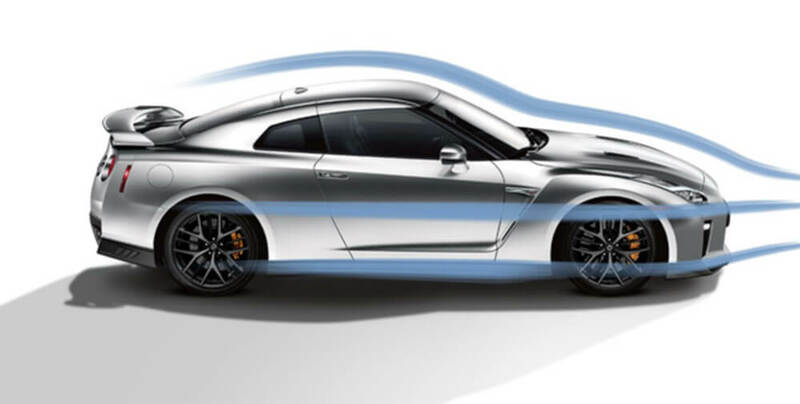 The GT-R utilizes a unique acoustic windshield that features sound-absorbing technology between the glass layers to help reduce outside noise. The GT-R has added an insulator underneath the dashboard and sound-absorbing material behind the instrument panel to reduce unwanted sounds coming from the engine bay. The insulating material above the rear wheel wells, as well as noise-dampening material on the floor of the trunk help to reduce road and tire noise. Active Noise Cancellation (ANC) is also available to help enhance the drive. Using information received from the engine, a microphone located in the cabin is able to identify undesirable engine sounds. The system then uses this information to reproduce an acoustically opposite signal through the sound system, resulting in cancelling out much of the unwanted noise. Available Active Sound Enhancement (ASE) enhances the engine note inside the cabin through the audio system's speakers by monitoring the engine's speed and vehicle dynamics.